Kentucky economy is a set of human and social activities and institutions related to the production, distribution, exchange and consumption of agriculture and industry goods and services. The balance between Kentucky various economic sectors differs largely between various regions and other states in the US. Kentucky's real gross state product in 2012 was estimated to be $146,829 which was just about the national state average, $187,440. Kentucky has the 28th highest GSP out of the 50 states. After its admission to the Union as the fifteenth state, Kentucky prospered and agriculture became the economic mainstay for the Commonwealth. Tobacco had become Kentucky's primary cash crop by 1787. Kentucky was also a leading producer of the world's hemp supply, used for making rope and fiber products until jute became popular in the early 1900's. Corn, also produced in Kentucky, was difficult to transport in dried form, and was transported more easily when distilled into whiskey. After the Civil War ended, slavery was illegal. As a result, Kentucky's economy suffered a depression that hit most of the South. Hemp production was the most affected as cotton production declined and traffic along the Mississippi and Ohio Rivers decreased. Kentucky continued to lead the nation in growing tobacco. An interest in horse racing led many to raise thoroughbred horses. Several new mines opened as railroad expansion increased the need for coal and oil. Large-scale coal mining in eastern Kentucky's mountains began in the early 1900's as the railroads penetrated the previously isolated area. After periods of major labor conflicts during the 1930's and fluctuation in the demand for coal, the industry has achieved an important place in the Kentucky economy, and Kentucky has become one of the nation's leading coal-producing states. In 1933, the federal government created jobs through the Tennessee Valley Authority (TVA) program. Dams were built along the Tennessee and Cumberland Rivers and throughout the state. Many worked on state highways and others conserving natural resources. World War II (1939-1945) also created jobs with the US military and supplying weapons and food to US soldiers. During the 1960s, the coal industry grew rising to second place nationally. The TVA began building recreational areas in western Kentucky and a steam-generating plant in Paradise. During the late 1950's, Kentucky emerged as an industrial state. Today, manufacturing is Kentucky's largest industry group. Kentucky's largest industry groups, based on their contribution to the total state gross product in 1996, are manufacturing; services; finance, insurance, and real estate; retail trade; transportation and public utilities; government; wholesale trade; construction; mining; farming; and agricultural services, forestry, and fisheries. With six national areas, 49 state parks, and hundreds of recreational, natural, historic, and cultural attractions, Kentucky abounds in travel opportunities. Tourism and travel is Kentucky's third largest revenue-producing industry, contributing $8.8 billion to the state's economy in 2001. Tourism and travel is also the second largest private employer, providing 168,500 jobs. Horses, cattle, tobacco, dairy products, hogs, soybeans, corn. Transportation equipment, chemical products, electric equipment, machinery, food processing, tobacco products, coal, tourism. The total gross state product for 2003 was $129 billion. 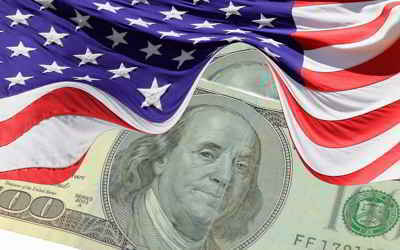 Its Per Capita Personal Income was $26,575, 41st in the nation. 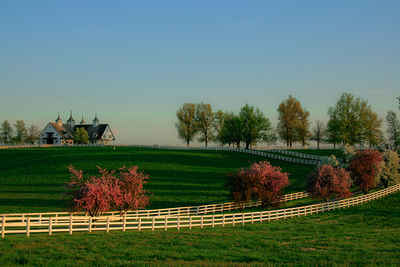 Kentucky's agricultural outputs are horses, cattle, tobacco, dairy products, hogs, soybeans, and corn. Its industrial outputs are transportation equipment, chemical products, electric equipment, machinery, food processing, tobacco products, coal, and tourism.